Lea Michele Asks For Privacy In Wake Of Death Of Cory Monteith: Lea Michele has released a statement on the death of Cory Monteith. Monteith was found dead in a hotel room in Vancouver on Saturday. In April, the representative of Monteith announced that the actor had voluntarily entered a rehabilitation center for substance abuse treatment. 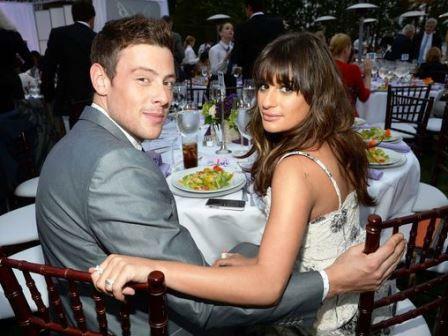 At that time, Michele threw his support behind Monteith "I love you and Cory and I will support him through this". In late May, Monteith thanked fans for their support on Twitter: "sending big love to all of you for the continued support means the world to me. "Michele tweeted: "Today is a great day :) I love you all! Xo." Michele and Monteith began dating while starring together in the Fox series, "Glee." His characters on screen had an affair and then over the years, completing one of the largest and most interesting storylines Fox series.